Do come along live tonight or afterwards to see what my son William and I get up to in Birmingham! Author KevinPosted on May 2, 2014 October 12, 2016 Categories Episodes, YMP Classic Feed4 Comments on Tim Stannard’s YMP Teeshirt hilarious video! 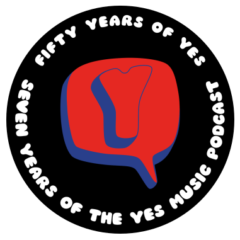 The one hundred and thirtieth episode of the Yes Music Podcast, featuring a quick update at Easter 2014 and a preview of the YMP coverage of the 4th May concert in Birmingham. What’s happening at YMP Towers? Where can you get involved on 4th May? How can you see what’s going on?